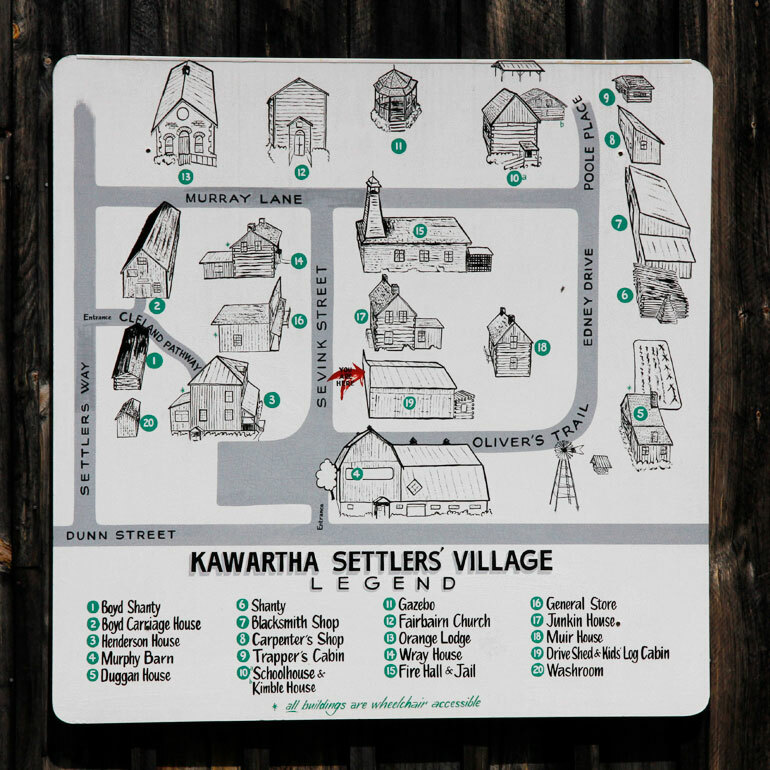 If you’ve ever wondered how Ontario pioneers lived, step into the past at Kawartha Settlers’ Village. The reconstructed collection of over 20 historic buildings dating from as early as the 1850s is right next door to Highland Green. The living museum houses items like early agricultural tools, personal belongings as well as artifacts, books and illustrations from 1835 to 1935. Today, the village is a vibrant place. You’ll see intricately patterned quilts being stitched in one building, painting and woodcarving in another. Outdoors, gardeners of all ages care for summer vegetables in the community garden. The village with its quiet country lane makes a charming setting for many events such as Bobcaygeon’s Craft Beer and Food Festival, Haunted Hallowe’en and the holiday-themed Festival of Trees. And it’s right next to Highland Green.